The IEM-Digital 12 Wireless Stereo In-Ear Monitoring System by Vocopro offers dual mono or true stereo monitoring for vocalists and musicians in clubs, concerts, and assistive listening applications. 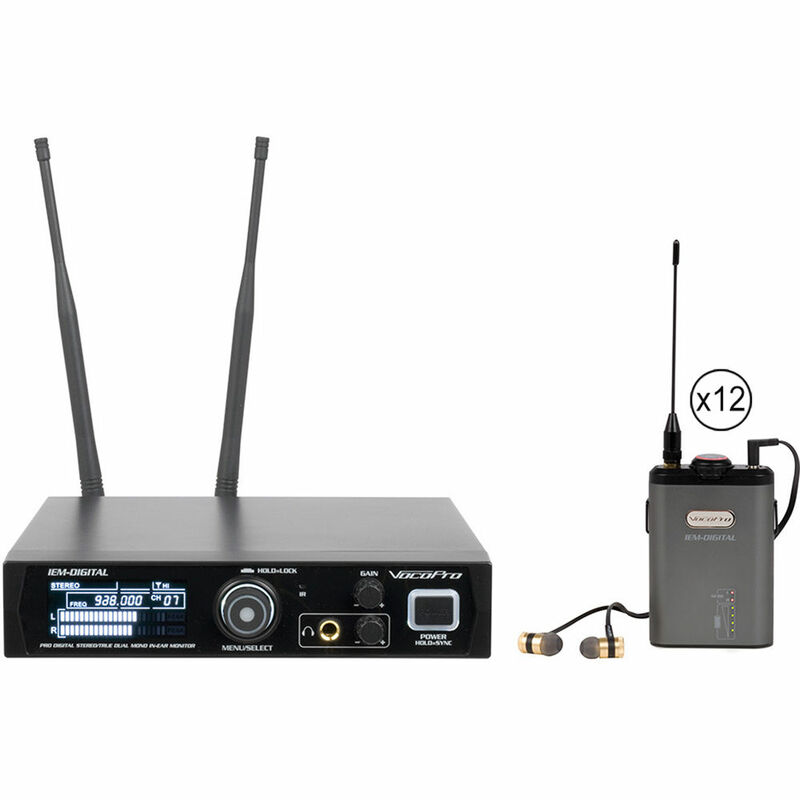 The in-ear monitoring system is comprised of a dual-antenna transmitter with a rackmount kit and AC adapter, and 12 bodypack receivers—each with two AA rechargeable batteries, in-ear headphones with a set of eartips, and a USB cable with a wall adapter. It utilizes 24-bit digital dual-frequency technology for proper separation between the left and right channels while operating with 18 selectable channels in the 902 to 928 MHz frequency range to avoid interference. One-touch sync enables simple setup, and the selectable high- or low-transmission modes accommodate a variety of venue sizes. The transmitter's two XLR-1/4" combo inputs accept balanced or unbalanced line-level signals. 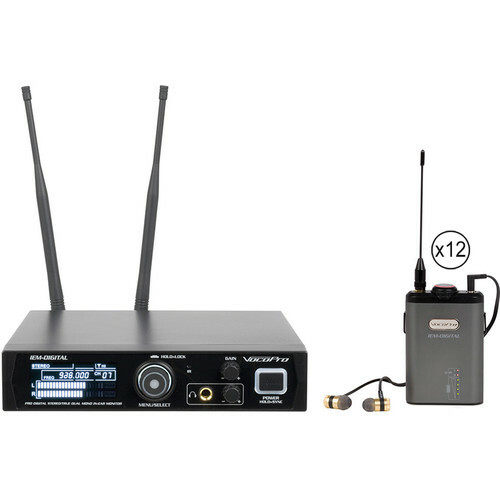 Its outputs include a front-panel 1/4" TRS jack for stereo headphones and a rear-panel 3.5mm loop output for connecting to another transmitter. The bodypack receivers feature a 3.5mm TRS mini headphone jack and a micro-USB charging port. The transmitter and receivers are constructed of metal for rugged durability gig after gig.